Yuval Rotem, is/was Israel’s ambassador to Australia. I had the privilege to be introduced to him, and to attend a few functions which he too attended. He really is a very warm and witty man, who appears to have a great relationship with Barry (Baruch) O’Farrell. I suspect the two will be lifelong friends. IN the next few days I will depart Australia. Every departure comes with a certain lingering sadness. Although this is the third time we are returning to Israel from an overseas assignment, it does not become any easier with age or experience. With my departure comes the task of bidding farewell to close friends who helped to build a home away from home, who have provided a sense of belonging and a treasured family bond. My family and I have had the privilege of exploring this great country from the Great Barrier Reef in the north to Hobart in the south and Uluru in the centre, our trips allowing us to wander through the Bungle Bungles, swim at Fraser Island and test our nerves on rides at Dreamworld. Australia has welcomed, inspired and amazed us at every corner. The historical relationship between Australia and Israel was forged in the heat of battle during WWI. Members of Zion Mule Corps served alongside Anzac troops on the shores of Gallipoli. The corps, largely made up of Jewish volunteers, recognised the importance of fighting with the Allies and the values they stood for. 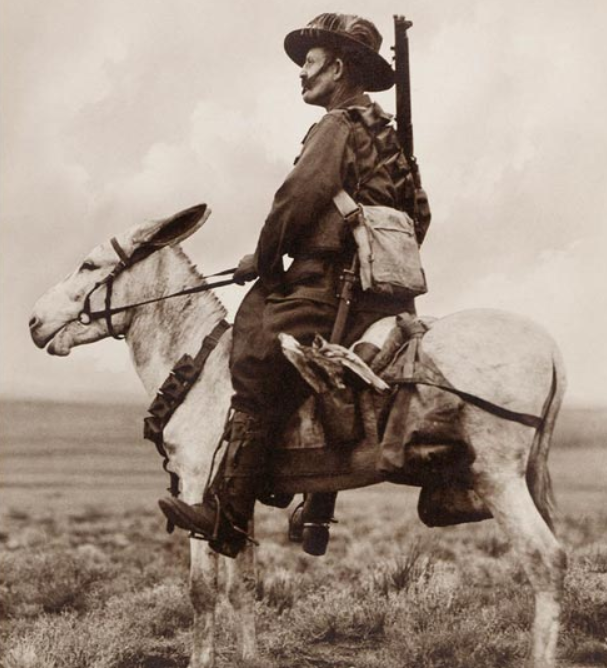 This relationship strengthened as members of the Australian Light Horse Brigade strove gallantly through the Turkish Ottoman trenches in the city of Be’er Sheva. Fighting for freedom of the land, the soldiers were welcomed into the homes and hearts of Jewish residents. Acknowledging and appreciating the role of Australia in the re-establishment of the modern state of Israel, the work of then foreign minister Dr HV Evatt to secure the decision in November 1947 was courageous and dedicated. Australia was the first to vote in favour of the establishment of Israel in May 1948 in the General Assembly and also sponsored the resolution for Israel’s admittance to the UN in 1949. As I prepare to leave, I am overcome with emotions, connected to the places visited and enriching years that I have spent here. My reflections are dominated by images of this wide brown land, memories made through friendships forged over long dinners, and a warm recollection of our travels. In spite of living in a land so vast with towns so geographically remote, the people of Australia are remarkably united. You share the same debates about AFL v rugby, the same frustrations with traffic, the same concerns about education and public safety, the same appreciation for the amazing natural beauty and vibrant cultural life this land has to offer. Most importantly, the diverse population shares a truly laudable spirit of respect and tolerance for “the other”. To me, as an outsider, Australia is something of a miracle. I have witnessed many tough times and challenges. I have seen weather ravage the country, your droughts and flooding rains, your bushfires and cyclones, heat waves and cold snaps. Natural disasters that make international headlines. Throughout this I have also seen friendships and relationships that transcend ethnicity and religion. By and large, people relate to each other as individuals, not as groups, not as categories, not as stereotypes. As a resident of the troubled Middle East, my time here has left me in awe of the wide variety of religions, colours, languages and life philosophies that intermingle and co-exist within Australia. You see millions of people from every background imaginable living side by side, working together and forging a future under the bright Australian sun. In today’s world, where terrorism, prejudice and hatred widen existing gaps between peoples, this is an inspiration. For two nations divided by an immense physical distance, we share a plethora of commonalities. While geography and size may separate us, ideals and character unite us. Australia, like Israel, is a nation of immigrants. We are both strengthened by diversity and enriched by faith. We are both nations fuelled by entrepreneurship and innovation. Australia, like Israel, is governed not simply by men and women but by the rule of law. We are defined by democratic discourse that allows each generation to re-imagine and renew our people’s future. We value what we share – even as we recognise what makes us different. This is the essential part of our bond. Australia is so vast and Israel is so small. Yet you don’t measure us by our size, but by our values. When it comes to values, we are you, and you are us. While our countries may be separated by great oceans and continents, with the spirit that binds us we will always be neighbours and friends. When I touch down in Israel in a few days, the eucalyptus trees that dot the land will remind me there is a country on the other side of the world that will always welcome me and will always have a warm place in my heart. As I prepare to step down as Israel’s ambassador to Australia, I can affirm that I will retain a less official title one driven by passion and experience, as an unpaid ambassador for Australia; because as your unofficial anthem pronounces, I will still call Australia home. Previous Coalition will ban more terrorist organisations & be harder on visas for extremists. Yes Yuval who I would like to consider a friend was a very down to earth , inspirational person , an amazing net worker and a fantastic ambassador Israel.. I will surely miss having a coffee with him in my local coffee shop on his regular trips to Melbourne. I wish him & Miri all the best for the future. A thread of true sentiment….Liked.